This article originally appeared in OSCAR Satellite Report #284, January 1, 1994. Copyright 1994, 1999 Paul Williamson. All Rights Reserved. In an article titled N7MPM Reports Some Question About Procedure on FO-20 Mode JA in OSCAR Satellite Report #283, Mr. Byrds touches on several of the goals of Doppler tuning. The main goal is to hear the signal properly. That is, the transmitter at the speaking station and the receiver at the listening station must be set so that the transponded and doppler-shifted signal is correctly centered in the receiver’s pass-band. However, there are several important secondary goals, and these goals determine how we tune. One of these goals is to keep all of the stations in a QSO on the same frequency. This minimizes the transponder bandwidth occupied by the QSO, and allows a listener to follow the conversation without re-tuning his receiver every time a new station begins to transmit. This goal is satisfied by any scheme that results in each transmission starting on the frequency on which the previous transmission ended. A closely related goal is to keep the QSO frequency from “walking” across the transponder. Walking means that the common shared frequency used for a given QSO changes consistently in the same direction over the duration of the QSO. If every QSO drifts in the same direction at the same rate, there’s no problem except for the QSOs that drift off the end of the transponder! If some QSOs drift and some don’t, or if they drift differently, QSOs are likely to drift into each other. This means that QSOs must be spaced further apart to eliminate interference, wasting transponder bandwidth. Another important goal is to minimize confusion and maximize ease of operation. Each operator should know exactly what to do, and what to expect of the other operators. This goal is the one that usually governs how we tune. This goal is achieved by using a simple rule like tune only the receiver or tune only the transmitter. Unfortunately, these simple rules do not achieve any of the other goals. This is because the Doppler shift depends on the geometrical relationship between the station location and the satellite’s path and the ground stations are in diverse locations. If each operator sets his transmitter (or receiver) at the beginning of a QSO and then doesn’t touch it, they will not stay on the same frequency. They will end up diverging because the various locations have various Doppler shift profiles. There is a simple rule that works. Well, it’s simple to state, but not simple to use.The One True Rule: tune both the transmitter and the receiver to achieve a constant frequency at the satellite. If everybody did this, there would be no problem with everybody staying together on the same frequency, and there would be no drift through the passband. Nobody would drift off the end of the transponder. Unfortunately, the only way to perform this kind of tuning is by computer control. The computer can use the same Keplerian orbit model that predicts where to point the antennas to predict the Doppler shift for his/her location. The computer can then make continuous small adjustments to both the transmit frequency and the receive frequency, to compensate for the predicted Doppler. As an aside, I’d like to complain a little. Almost none of the radios that are popular for amateur satellite work have computer interfaces that are versatile enough to permit this kind of tuning to be implemented transparently. By transparently, I mean that you should still be able to tune around the pass-band at will, using the knob on the radio’s front panel, but you shouldn’t have to worry about Doppler at all. The tuning knob is still the world’s best user interface for tuning around, despite the delusions of computerphiles who would claim otherwise. Tuning your satellite rig should be just like tuning around on 20 meters: you tune somebody in, you let go of the knob, and you expect to stay on frequency without any further tweaking. I believe (but have never gotten around to demonstrating) that the Kenwood TS-711A/TS-811A pair can be computer-enhanced to behave this way. To the best of my knowledge, no other radio or pair of radios has the right combination of computer-interface features to make this possible. does a good job with the goals listed above. The key thing about the simple tune-one-rig rule is that the operator only needs to turn one knob at a time, and is never in doubt about which knob to turn. This property makes manual tuning easy enough to do, with some practice. The operator may even have enough brain cells left over to carry on an intelligent conversation at the same time. First, which rig should be tuned? Well, Doppler shift is proportional to frequency. If we tune the radio on the higher frequency band, we will remove more of the Doppler shift (and thus more closely approximate compliance with The One True Rule). Thus the rule of thumb to tune the transmitter on Mode B, and the receiver on Mode J. If everybody follows this rule rigidly, the stations in a QSO will still drift apart (due to geometry), so this rule must be modified to keep all the stations together. How the rule is modified is what differentiates the expert operators from the fumblers. Here is where the technical arguments fail, and individual preferences rule. Given that we have to tolerate some frequency drift, we have to decide what kinds of frequency errors are obnoxious and which are relatively benign. I would argue that a limited amount of “walking” through the passband is acceptable, but that frequency jumps between transmissions are obnoxious. If we can’t keep the frequency constant, we should at least try to make it vary smoothly. This is easier on the listeners, which is especially important in a large roundtable QSO. Really, you only get to choose a strategy when you’re transmitting, When you’re listening, you have no choice but to vary the receiver frequency to match whatever the transmitting station (plus Doppler shift) is doing. The only choice you have is whether to tune with the RIT (thus saving your original receive frequency) or with the main tuning knob. During this time, you can’t accurately tune your transmitter even if you want to, because there’s no way to tell if it’s on the right frequency or not without transmitting. transmission. If you were using RIT, you can choose to clear the offset. You may also choose to make a quick adjustment to the transmitter frequency until you find yourself on the “right” frequency. Second, once you have settled down to talking, you can choose which “one” radio to tune. This is where the rule of thumb works: tune only the radio on the higher frequency hand. The one-time adjustment at the beginning of each transmission is where operator preference comes in. I think that a smoothly varying QSO frequency is preferable to a jumpy one, and I can use this preference to choose a tuning strategy. I want a listener to copy me without retuning when I start to transmit, so I want to hit the same downlink frequency that the previous station was on at the end of his transmission. Thus, I tune the main dial of the receiver, not using RIT. I then make a one-time correction of my transmitter frequency so that I sound natural on the downlink, which is still tuned to the frequency where I was listening to the previous speaker. If the downlink is unchanged for me, it’s also unchanged for all other listeners, so my goal of smooth transition is achieved. Then during my transmission, I tune according to the simple tune-one-radio rule. Of course, nothing is really that simple. If the other station is obviously wildly off frequency, it’s probably better to force a frequency jump back to someplace near the original QSO frequency than to follow him off into the ozone. Judgment is required. Flexibility is especially required when communicating with a new satellite operator, who may not have a clear idea of how he is supposed to tune his radios. This one-time adjustment that I’m suggesting may sound like heresy. After all, everybody preaches that you’re only supposed to tune one radio. But what do they practice? Nearly everybody calls ‘hello’ and tunes in to the QSO frequency at the beginning of a transmission! If it’s a rapid-fire QSO, they don’t do it every time, but they still do it now and then. These operators know that following the simple rule to the letter doesn’t work very well, so they compensate. That’s not sloppy operating, it’s just common sense. Expert operators can do it without you even noticing, because they can make a coarse adjustment by feel and then fine-tune within a syllable or two. I’m still working on my tuning skills. It’s not easy to do exactly the right thing every time, especially in the heat of an interesting conversation. If you hear me on the air and I’m tuning exactly the way I’ve described here, you’ll know that l’ve finally succeeded in implementing automatic computer-controlled tuning! Until then I can only hope that having a clear idea of how I’m trying to tune will help me improve. 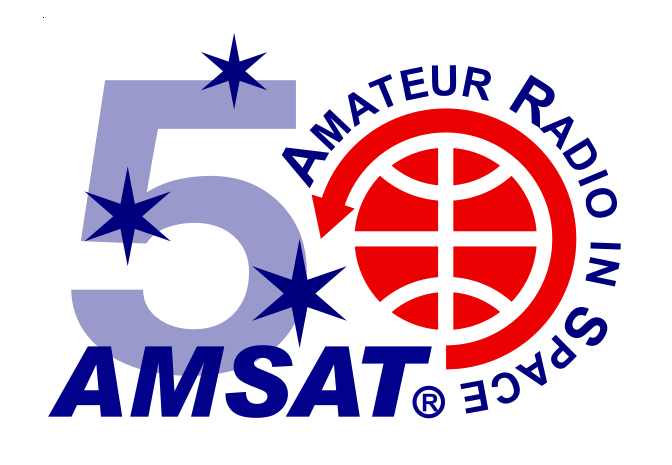 Several popular computer programs (https://www.amsat.org/wordpress/amsat/catalog/software.html#station) now implement One True Rule tuning, so many operators are now capable of tuning both uplink and downlink correctly. However, this still doesn’t work unless everybody in the QSO does it, and you can’t count on the other station(s) having this capability even today. protocol they were using in 1994.
tuning knob, which is still the best user interface for tuning around. Doppler shift. So the above is still my opinion, and I’m sticking to it.